For the fifth release 76 markets are currently classified as improving under a conservative examination of local economic and housing market conditions. 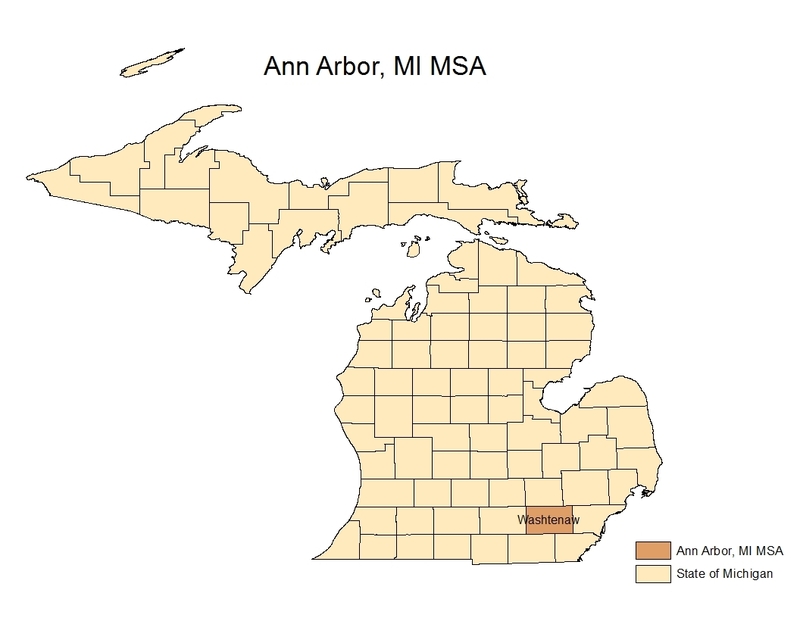 Among these areas is Ann Arbor, Michigan metropolitan statistical area (MSA). Comparing educational data from the 2000 Census to the 2009 American Community Survey confirm these trends. The number of people with a high school diploma or less actually decreased from 50,468 to 46,667. By contrast, the number of individuals with some college increased slightly from 40,063 to 43,494 and the number of people with an associate degree jumped from 11,857 to 14,317. Those individuals with a B.A rose from 48,034 to 49,685 while the number with professional degrees skyrocketed by 12%, from 46,992 to 52,747. According to John Fingerle, President of Fingerle Lumber Company, “house prices are rising, listing periods are down, inventory is very low and builders are again building spec homes. In part it’s because unemployment is low, and that is because healthcare has been resilient and because of all the braniacs who are moving here to work for Google or Barracuda Networks or at one of the auto research centers.“ As a result, house prices have held up well over the past few years. Prices are up 5.2% since the trough in December 2010 and are just 10% off where they were in December 2007. Improving economic conditions have resulted in payroll employment being down less than 3% from its level in December 2010 and up by 2.3% since the trough in July 2009. Single family permitting activity is up 0.3% on a seasonally adjusted monthly average basis from the trough set in May 2009. While new homes are being built in many parts of the Ann Arbor MSA, activity has been primarily centered in the City of Ann Arbor and the close-in suburbs of the Village of Dexter to the west, the City of Saline to the south and the City Plymouth to the east.